Any thoughts on this out there in Friends-of-Grateful to the Dead-Land? This is the conclusion, continued from part II. Those who know the medieval miracle play (or “mystery play”) tradition will recognize at once how themes of desire and death get treated in this way – with the earthy, humorous touch of buffoonery and farce. As for death, I think of the crucifixion play in the York cycle. The nailers’ guild (who had the hereditary responsibility for the play) had the workmen, as they prepared the cross and pounded the nails through Christ’s hands and feet, keep up a stream of complaints at the difficulty and boredom of the work, oblivious to the divine significance of what they were doing. In his Life of Christ, Bonaventure (1221–74) had counseled: “You must direct your attention to these scenes of the Passion, as if you were actually present at the Cross, and watch the Crucifixion of our Lord with affection, diligence, love, and perseverance.” The plays helped their audiences do this by marrying the sublime and the ridiculous, heightening the bizarre reality of a God who becomes human and dies at the hands of those he created. One might find here the same sort of what we might call “sacramental use of humor” we find in Lewis’s treatments of Eros and death. This is a farcical way of talking about our bodily, material lives so as to both challenge our bodies’ insistent claims to ultimacy and remind us that our bodily experiences point beyond our proximate desires to the desire for heaven. “Sacramental humor” thus reinforces the truth that our God, who came to us bodily in the Incarnation, still meets us in our bodies. The highest does not stand without the lowest. There is indeed at certain moments a high poetry in the flesh itself; but also, by your leave, an irreducible element of obstinate and ludicrous un-poetry. Pleasure, pushed to its extreme, shatters us like pain. The longing for a union which only the flesh can mediate while the flesh, our mutually excluding bodies, renders it forever unattainable, can have the grandeur of a metaphysical pursuit. Amorousness as well as grief can bring tears to the eyes. But Venus does not always come thus “entire, fastened to her prey”, and the fact that she sometimes does so is the very reason for preserving always a hint of playfulness in our attitude to her. When natural things look most divine, the demoniac is just round the corner. 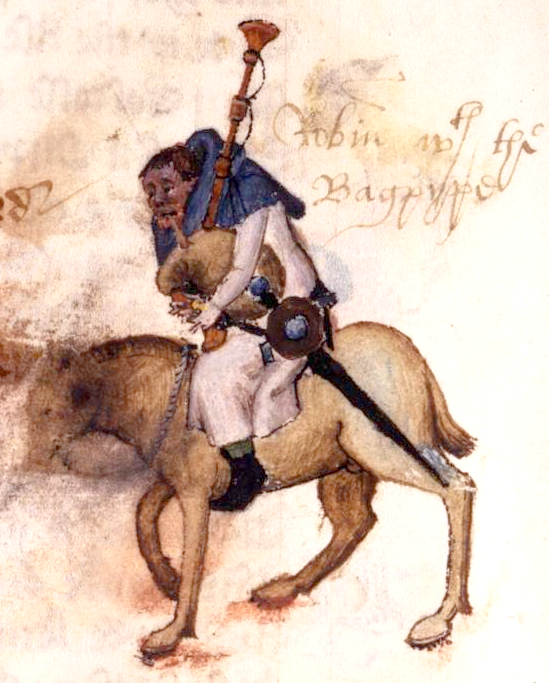 Each May since 2012, I’ve been presenting at the largest annual academic conference on medieval studies: the International Congress on Medieval Studies in Kalamazoo, Michigan. 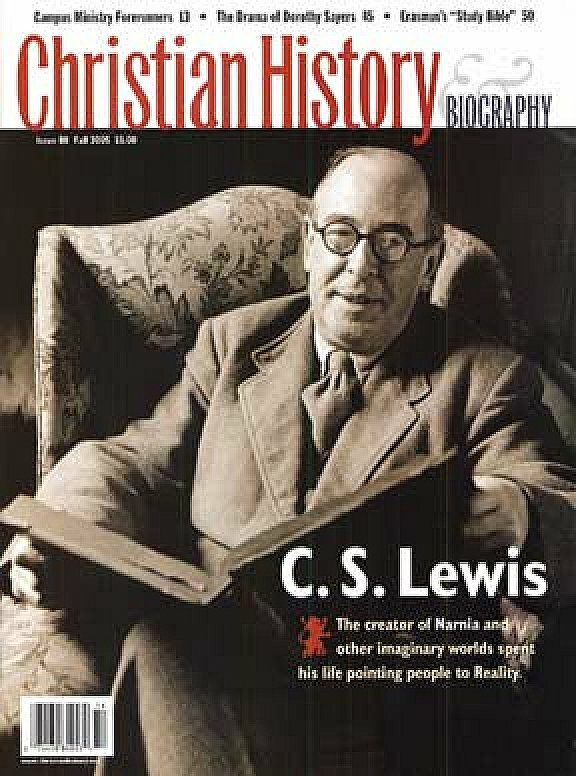 My papers have always explored some aspect of the medievalism (a term meaning “modern interpretation and use of medieval ideas or practices”) of C S Lewis – and the richness of medieval Christian traditions from which Lewis drew in his own theological and spiritual thinking, doing, and teaching. Why look at Death and Desire together, in Lewis or any other Christian source? Simple: Biblical language of crucifying our disordered desires as a means to cultivate the new life in Christ—or on the contrary, of gaining the world (fulfilling our earthly desires) but losing our soul (fulfilling our heavenly desires)—brings desire and death together in a theological concept of a salutary sort of “death” that helps us realize our (properly ordered) spiritual desires for God. That is, as Calvin wrote in the third book of his Christian Institutes: We must mortify the sinful self to vivify the spiritual self. Or, to anchor this more firmly in Lewis’s medieval sources, as that 5th/6th-c. taproot of medieval spiritual practice, Pseudo-Dionysius, taught: the soul ascends to God through a movement of mortification->illumination->union. Lewis found this common medieval formulation of the spiritual life in many medieval places, including the anonymous Cloud of Unknowing and Theologia Germanica, and Walter Hilton’s Scale of Perfection. So that’s “Why.” Now, “How”? If you suspect the Medieval church might have something important to say to the Modern church, well, first of all . . . you’re right. And second, you might want to check out this conference, June 8-9, 2017, near Pittsburgh. Speakers will include Benedict Option author Rod Dreher and some guy who wrote a book about Medieval Wisdom for Modern Christians. The scholastic theologians of the 12th and 13th centuries brought together faith and reason, love and logic, religion and science, and Word and world in a breathtaking synthesis that delved deep into the Bible for wisdom about our life with God. Their efforts and the understanding that came from them birthed such cultural institutions as the university, the research laboratory, and even the hospital. The great engine driving early and medieval Christians’ search for theological truth about God and the world was not idle or sterile intellectual curiosity but rather the desire to know how to live in the light of the Creator God’s love for his creation. Because medieval Christians valued reason highly, seeing it as the image of God in humankind, they concluded that such an amazing gift must be given for a purpose. In David N. Bell’s words, “It is not to be squandered or neglected, but used appropriately in the service of the Giver.” And so they set out to understand God, themselves, and their world in rational terms. More than this: since reason was understood as our surpassing gift from God, the medievals used it as one would any treasured instrument (think of a Stradivarius violin): with great passion, care, and discipline. But this is not the end of the story about how medieval thinkers viewed and used reason. Since certain aspects of God seemed beyond reason — the Trinity, the incarnation, and the resurrection are just three — tension and controversy also arose. From the second century through the medieval period, and more urgently once the scholastic movement began in the twelfth century, faithful Christians argued about how much of a role reason should be given. One thing became clear early on. Good theology could not be done with reason alone, in the realm of pure abstraction and logic-chopping. Put in positive terms, this meant that reason and faith, logic and love, must be held together. To separate them was to court heresy, as the church fathers had insisted. These four fences— the “withouts”— preserve the mystery of the relationship of Christ’s human and divine natures. By them, the Chalcedonian pastors were claiming only that Scripture does not support a confusion, change, division, or separation between Christ’s two natures (and each of those errors, through over-rationalizing the Scripture account in one direction or another, was actually taught by one party or another at the time). The pastors were not trying to define rationally the precise nature of the relationship between the two natures, for that would be to attempt to penetrate where scripture revelation has not spoken. Thus the Council at Chalcedon preserved a paradoxical tension beyond reason, which says a thing (Jesus) can be both 100 percent one thing (divine) and 100 percent another thing (human). Of course, in the realms of mathematics, logic, or physics, this statement is impossible. But harnessing reason in service of faith, the gathered pastors specified only as far as they felt Scriptural revelation allowed – and no further. Centuries later, the scholastic theologians applied reason to faith in the same cautious manner – not to make too clear that which God has made obscure, but to do our best to understand the things of God without doing violence to their sometimes irreducibly puzzling or paradoxical nature. One powerful example of this reason-protecting-mystery dynamic comes from the teachings of a thinker some call the “father of scholastic theology,” Anselm of Canterbury (c. 1033 – 1109) – in particular, his reasoned explanation of the bloody scandal that was the crucifixion. If you’re a thoughtful Christian — or a thoughtful non-Christian considering the claims of the Christian faith — then you’ve likely wondered about this yourself. This is maybe an even harder nut to crack than the paradox of Christ’s simultaneous identity as both fully human and fully divine. It may in fact be the greatest paradox imaginable. What the Bible teaches about the atonement for humanity that the Second Person of the Trinity accomplished through dying at humans’ hands is not just incongruous – Why would an all-powerful God choose to redeem his human creatures in such a bloody and ignominious way? No, it is far worse than that, logically speaking. Because what the story of the crucifixion claims is this: that the divine being God, the only being who fully owns his own being eternally, not owing it to any parent or creator in time, entered the stream of time, lived within time, and then ceased, as all time-bound creatures do, to exist (at least, on earth as a creature). Anselm does not make the story rationally consistent by cutting off some part of the revelation – by doing, that is, the sort of thing the early heretics did in order to get rid of the tension between God’s perfect divinity and his abject death. Anselm doesn’t solve the conundrum by saying, “Well, God didn’t really die because he never had a really human body, only the appearance of one,” which is an explanation that some had tried to give early on (the Docetist heresy). Nor does Anselm veer to the other possible explanation, “Well, somebody did die, but it was someone who was less than God: the very special man Jesus” (the Arian heresy). Instead, Anselm reasons from the structures of social understanding around him; he seeks in those cultural materials an explanation that will satisfy his hearers without destroying the mystery. The explanation he hits upon is that God’s honor, like that of a feudal king, has been offended and diminished by the (original) sin of his human subjects and that this terrible transgression must be addressed through some act of “satisfaction” that restores the honor of the king. While avoiding resolving the mystery toward Docetism or Arianism, Anselm retains it and explains it through the reasonable cultural metaphor of “satisfaction,” working out the mystery in elegantly logical language so that people of his age can understand it. Anselm’s explanations of the atonement does no violence to the central mystery, which is that the undying, fully divine God died. The biblical paradox is not disposed of. Just as the Chalcedonian Definition uses reason to retain the paradox of the two natures of Christ and the doctrine of transubstantiation uses reason to retain the paradox of bread and wine that is also Christ, Anselm has used reason to retain the Scriptural paradox of the God-man who dies, while asking how we can understand, at least in part, what God is doing through the atonement of Christ. What can we learn about how to approach Scripture from the examples of Chalcedon and Anselm? Of course neither Chalcedon’s statement on the two natures of Christ nor Anselm’s on the atonement is the “last word” on the subject. Soon after Anselm came Peter Abelard, with another (but also Scripturally based) explanation of the atonement that took as its central metaphor, not the correction of a slight to a feudal Lord’s honor, but the compassionate action of a grieving father willing to make the ultimate sacrifice for his children, so that they would be emotionally impacted by their father’s sacrifice and return to him (such a story as we find in the parable of the Prodigal Son). And when John Calvin, centuries later, returned to Anselm, he reworked some of his ideas for his own time, in a penal substitutionary theory that seemed less feudal and more purely biblical – and is still hugely influential in 21st-century Protestant preaching around the world. What this suggests is that every new generation and every new culture needs to do its own careful, sensitive work of “reasoning with Scripture.” While doing so, we could do much worse than follow the example of the scholastic exegetes, who, themselves following the example of the fathers at Chalcedon, set out to explore what may be explored with the wonderful gift of reason, but insisted on doing so within the bounds of the irreducible mysteries presented in the pages of the Bible. Many thanks to Scot McKnight for hosting Dave Moore’s interview with me on my new book, posted here today: at his Patheos.com blog. Patheos friend Kathleen Mulhern even featured the interview on the front page of www.patheos.com, which is “not chopped liver,” as they say–given that site’s millions of viewers monthly. It is tremendously gratifying to see folks picking this book up and engaging with it. I also look forward to my visits to MacLaurinCSF at the University of Minnesota (Minneapolis-St Paul) and Tyndale House College & University (Toronto) this fall, and to Upper House at the University of Wisconsin, Madison next spring, to explore these themes with students. I guess I’m a real author now, what with “book tours” and all . . .